The ABA House of Delegates approved a Resolution in 2012 urging judges to consider several factors when determining the manner in which expert testimony is presented in criminal trials. The Resolution and its accompanying report urge attorneys and judges to seek “innovative solutions” to help jurors understand the significance and limitations of scientific evidence, such as altering trial structure to allow expert witnesses for both parties to testify consecutively and avoiding declaring a witness to be an expert in front of the jury. The ABA Resolution and report draw heavily from other ABA standards and from the 2009 NAS Report on the state of forensic science in the United States. More information on the landmark NAS Report can be found here. The Resolution urges judges to consider “whether expert witnesses use clear and consistent terminology in presenting their opinions.” The report warns that terms such as “match,” “consistent with,” “similar in all respects tested,” and “cannot be excluded as the source of” have no accepted definition or standardized meaning in the scientific community. The Resolution also advocates precluding experts from offering explicit or implied claims of uniqueness unless their findings are supported by empirical research. The report notes that fields such as firearms comparison and handwriting analysis often rely on subjective comparison by analysts with no empirical research to validate their techniques. Testimony by such experts gives jurors an impression that such “matches” represent absolute identification. In particular, the report recommends prohibiting experts from testifying that a match has been made “to the exclusion of all others” unless the experts’ methodology has been validated by empirical statistical research. Although most judges are unlikely to exclude evidence solely on the basis of the ABA Resolution, attorneys may attempt to use the Resolution to limit the scope and impact of expert testimony in their cases. It isn’t clear how much weight individual judges will give the ABA Resolution, or whether they will interpret the Resolution as placing a higher burden on parties seeking to use expert testimony than already required under North Carolina law. Nevertheless, the Resolution provides strong support for attorneys trying to preclude experts from offering misleading testimony about the significance of their findings, and it calls on judges to monitor the presentation of forensic evidence more closely. 2) Statistical reliability for “individual identification” of a suspect. 3) Statistical reliability for “class and individual exclusion” of a suspect. 4) Verified scientific validity with documented statistics. 5) Clear non-ambiguous terminology related to statistical validity of results. 6) Does not rely on competence, training, experience, or judgement of individual examiners. 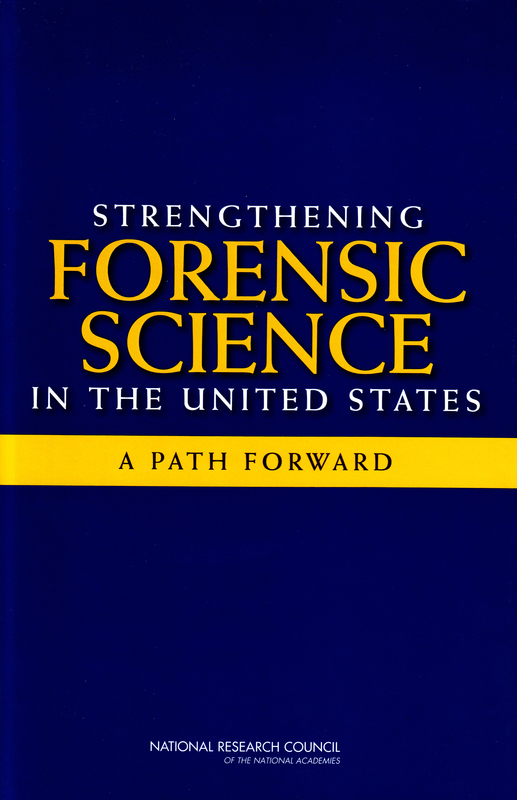 The National Academies were given the Congressional “charge” in the Fall of 2005 to investigate and report on the state of forensics in the US. By the Fall of 2006, a panel of 52 scientists, academics, and experts had been assembled, and started work. Two and a half years later, and after exhaustive review of all findings, the report was published. What it had to say about forensics in the US (and by extension, the world) was not very good. In summary, what they found was that forensics (with the exception of DNA) lacks scientific rigor and statistical validation. It can be said that every forensic discipline (with the exception of DNA) fails the test of “show me the data from which I can compute a probability of occurrence.” This is, of course, echoed in the Daubert doctrine’s “no known error rate”. Has this lack of scientific rigor and statistical validity led to wrongful convictions? ABSOLUTELY. But …. 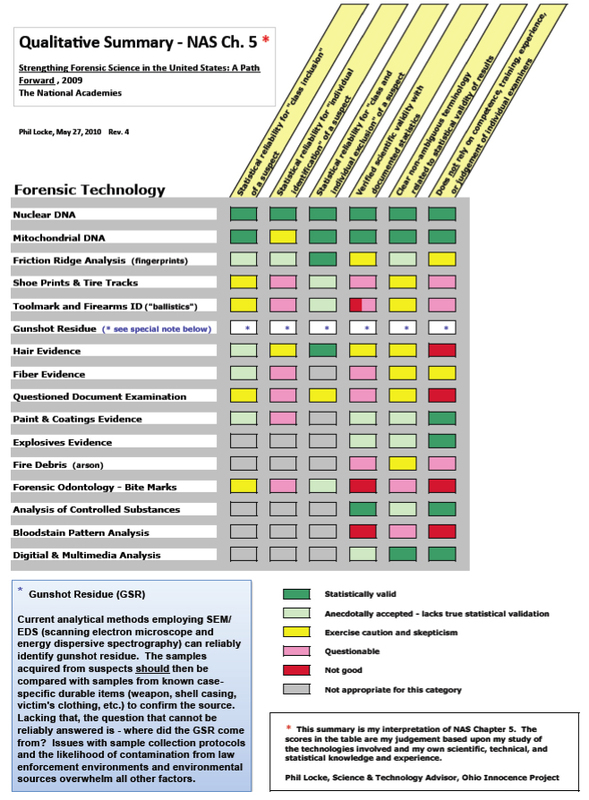 more about the validity of forensics in future posts.